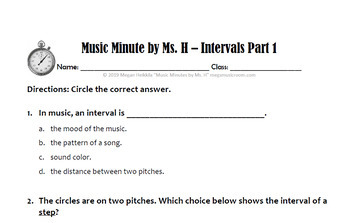 IN ONE MINUTE, students learn the definition of "interval" and the three main types of intervals: step, skip and leap. 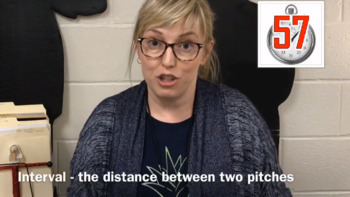 This resource is the one-page WORKSHEET in PDF format that coincides with THIS VIDEO. - PDF page that gives you the link to the video. I hope you and your students love this as much as we do! 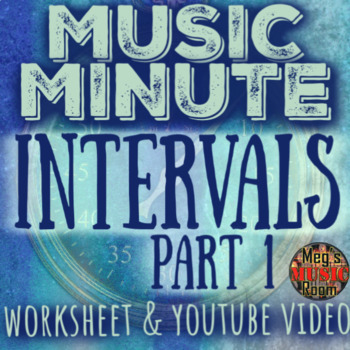 Connect with Meg’s Music Room! Meg's Music Room on YouTube! Copyright © Megan Heikkila. All rights reserved by author. This product is to be used by the original downloader only. Copying for more than one teacher, classroom, department, school, or school system is prohibited. This product may not be distributed or displayed digitally for public view. Failure to comply is a copyright infringement and a violation of the Digital Millennium Copyright Act (DMCA). Clipart and elements in this product are copyrighted and cannot be extracted and used outside of this file without permission or license. Intended for classroom and personal use only.